The impact of Deutschland 83 cannot be ignored. With its 2015 debut, it boldly proclaimed that Germany was now in the business of making prestige television. Prior to the launch of the show, Germany wasn't really known around the world for its television in the same way it was respected for its feature film output. Deutschland 83 turned that perception around. The show was a smash-hit internationally, particularly in the UK where it became the most watched foreign-language drama of all time with 2.5 million viewers tuning in for the first episode. Breaking out the Walkman in 'Deutschland 83'. Deutschland 83 was just the beginning. Dark soon followed, a drama that started to articulate what was so interesting about Germany's culture through long-form visual storytelling. The international acceptance of Deutschland 83 owed as much to its interest in 1980s culture from the West as it did the more restricted culture of East Germany in the '80s. With Dark, however, Germany is on full display. While we wouldn't use the word "creepy", there is a very specific tone to German television. It seems far more culturally introspective and reserved than you find with prestige shows elsewhere. Like Germany itself, it carries with it the scars of its history, but there also seems to be the desire to put forward a sense of being sensible and self-assured. 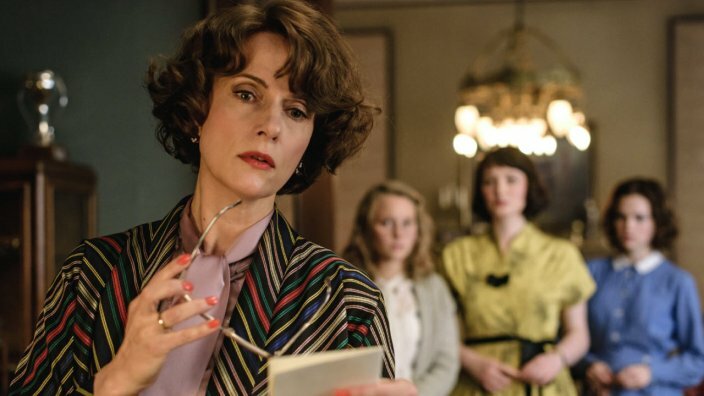 The success of Deutschland 83 also opened the door to Babylon Berlin, the most expensive TV series ever filmed in a language other than English. The series cost $45 million for two 8-episode seasons, with 8.5 million people tuning in to watch the first episode. Big and bold in its production, the show also adhered to a comfortable police procedural format. Set during the Weimar Republic in 1929, the show explores the dark underbelly of a post-war Germany with characters still reeling from the psychological and financial scarring caused by the war. Another huge success in Germany was 1950s period drama Ku'damm 56, billed as Germany's answer to Mad Men. 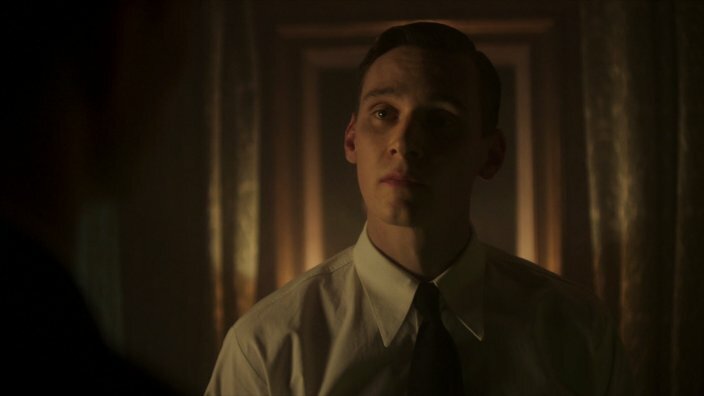 The series is almost the counter to Babylon Berlin with its 1956 setting. It is about rebuilding lives and moving on to the next phase of a culture as post-World War II austerity started to give way to a new economic boom. With its predominantly female cast, the show explores the impact of traditional thinking coming into conflict with the new rock 'n' roll culture imported from the US. Ku'damm 56, which is streaming now at SBS On Demand, represents a departure with its much lighter take on German culture. Most of Germany's prestige TV efforts have been considerably bleaker in tone. For viewers across the world, German TV nicely complements what so many have enjoyed about Scandi-noir series. These are complicated characters who are exploring dark material. It's little wonder that German series are now being spoken of with the same reverence as shows such as The Bridge (streaming now at SBS On Demand) . So, it makes sense that the next German show to have TV fans buzzing is an adaptation of The Bridge. Pagan Peak was made by the same team responsible for Dark. If you bristled at the idea of Germans being 'creepy', Jantje Friese is determined to make her case with this remake that brings an unexpected twist to the storyline of The Bridge. 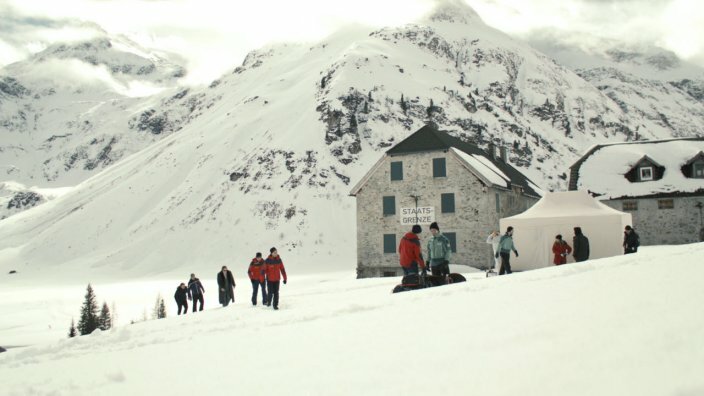 Pagan Peak (or as it is named in Germany, Der Pass) follows German detective Ellie Stocker, who has to team with an Austrian counterpart, Gedeon Winter, to investigate a murder on the German-Austrian border. As they investigate the case, they find more crime scenes with symbolically posed victims, reminiscent of pagan rituals. Canada’s top detective is back doing what he does best. With the third season just about to hit our screens, here’s everything you need to know to get caught up. The 10-part series is based on de-classified US government investigations into UFOs and unexplained phenomena conducted between 1952 to 1969. With so many twists and turns in this spy drama, we naturally have a whole lot of questions we want to see answered. Lars Mikkelsen’s award-winning patriarchal priest is one of the most compellingly flawed fathers on television. Canadians seem so nice – so why are their shows so dark and messed up? There's something about Mary – she's a doctor who assists suicides in her spare time.